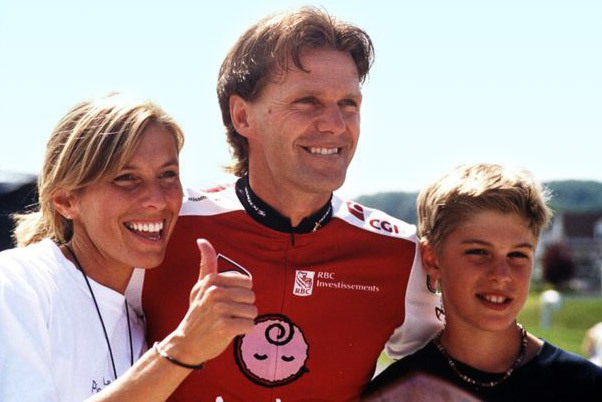 In 1999, Pierre Lavoie held the first Défi Pierre Lavoie in Saguenay–Lac-Saint-Jean to raise awareness in his region about lactic acidosis, the illness that took two of his children from him, and to raise funds for medical research. 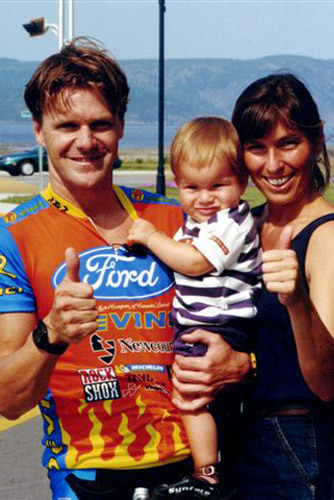 He cycled 650 km alone in 24 hours on a route that encircled the Saguenay–Lac-Saint-Jean region. 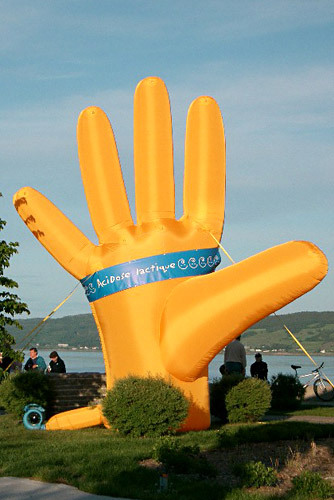 Thanks to his incredible endurance and his communication skills, Pierre turned his Défi into a major event in his region. Hundreds of adults and children waited for him along his route to give him the money they had collected. 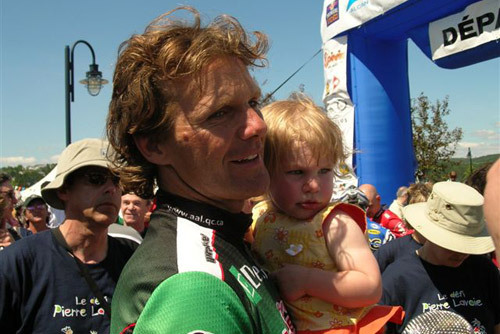 The event was such a success that Pierre repeated it in 2000, 2002 and 2005. In 2005, while giving talks in schools, Pierre noticed the keen interest students had in his Défi. This gave him the idea to work with schools to create the activity Fais ton kilomètre avec Pierre. 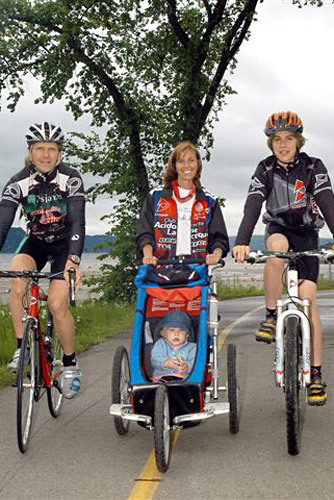 This activity, launched as part of the fourth edition of the Défi Pierre Lavoie, enabled young people to bike with Pierre as he passed through their municipality, in the middle of the day or night, and experience a magical, unforgettable kilometre. To prepare for this activity, the children had to enroll their school and commit to doing three 15-minute sessions of physical activity per week for a month. Forty schools enrolled, 6,300 students participated, and over 235,000 15-minute periods of physical activity were recorded. This all occurred without any advertising to promote the event. Pierre then thought that more young people needed to be exposed to this activity. 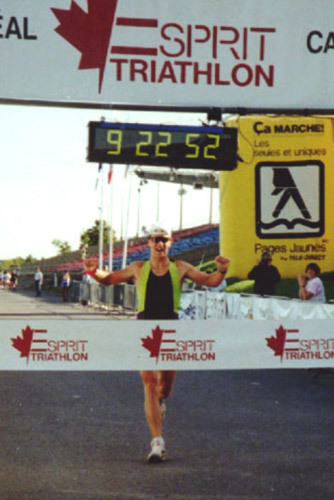 He started taking his dream to new heights with Germain Thibault, a Radio-Canada producer that Pierre met during a newscast on the 1999 Ironman in Hawaii. Both of them shared the same concerns for the health of young people. 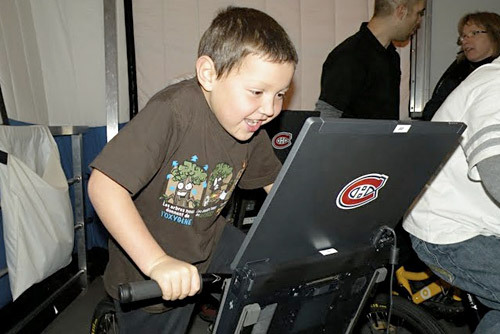 Together, they came up with the idea of extending the Défi Pierre Lavoie to the entire province in order to encourage elementary school pupils to adopt healthy life habits. The project was launched in November 2008 under the new name “Grand défi Pierre Lavoie”. The first edition in 2008-2009 was an instant success. As part of the Get Up and Move! contest in May, students and their families accumulated 16,970,866 energy cubes. In addition, The 1,000 KM event was much-admired all across Québec. 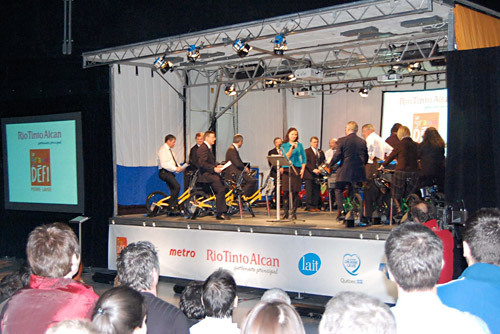 For its second edition in 2009-2010, the Grand défi Pierre Lavoie rallied even more schools and pupils, who accumulated 22 million energy cubes—5 million more than the previous year! And the number of teams registered for The 1,000 KM event increased from 90 to 150! The third edition rallied even more schools and families, who accumulated 37 million energy cubes. 185 teams participated in The 1,000 KM event with more than 900 cyclists. Now in its eleventh year, the adventure continues with ever increasing popularity. 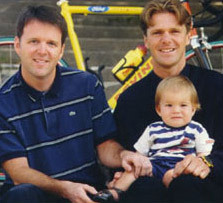 Pierre took part in his first triathlon. He finished second to last! 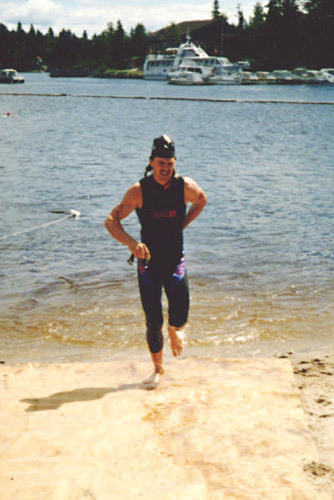 Pierre took part in the Ironman competition for the first time ever. 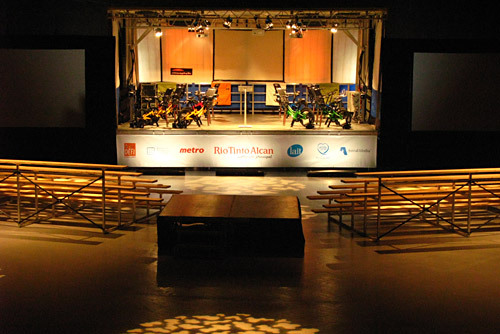 It was held in Montréal, and he finished first in all categories. Pierre was elected president of the Association de l’acidose lactique. Pierre launched the first Défi and raised $25,000 without any solicitation. 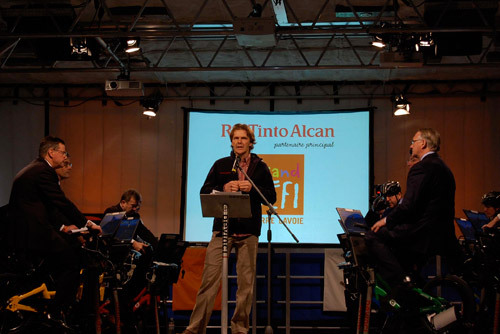 The 2nd edition of the Défi raised $89,000. The 3rd edition of the Défi raised $152,000. 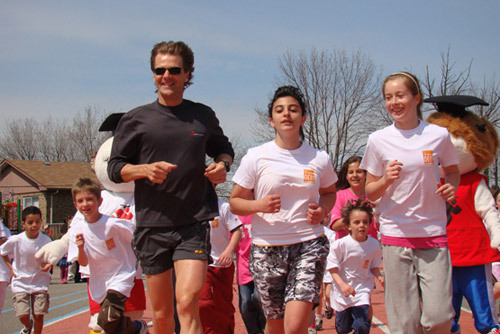 The 4th edition of the Défi, to which the Fais ton kilomètre avec Pierre activity was added, raised $300,000. The Grand défi Pierre Lavoie was launched. The 1st edition of the Grand défi Pierre Lavoie was a resounding success. The caravan visited 100 elementary schools from October 2008 to May 2009 and reached 22,000 students. 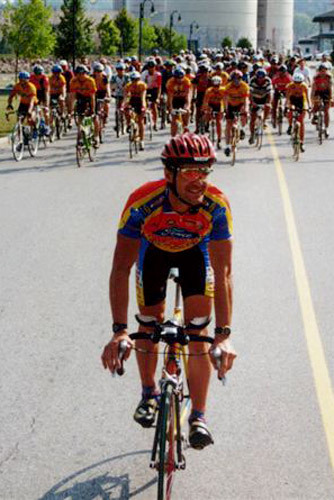 It toured 16 regions of Quebec and covered 25,000 km. As for the Get Up and Move contest, which took place in May 2009, 934 schools participated, as did 300,000 students from 150,000 families, and 16,970,866 energy cubes were accumulated, that is to say the equivalent of 4,242,000 hours of physical activity.